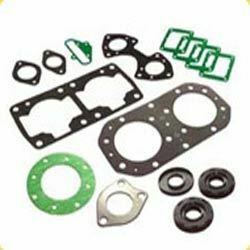 Industrial range of Engineered Gaskets that we export and trade is widely appreciated by our valuable clients. These are manufactured using supreme quality of raw material. These are widely used in industrial pumps, pipeline flanges, valves, engine head gaskets and several other applications. These are available in several specifications as per the Industrial requirements. Inseal International Pvt. Ltd, established in the Mumbai, Maharashtra engaged in offering industrial range of rubber and plastic products. These includes Engineered Gaskets, Rubber Gaskets, PTFE Rods, PTFE Sheets, PTFE Bushes, PTFE Tubes & Pipes, Engineered Polypropylene, Engineered Delrin, Engineered UHMW Polyethylene, Engineered Acrylic. These are manufactured from high grade of raw material and are procured from quality driven organizations. We have a wide Infrastructure that is divided into several units of storage, warehouse & packaging, quality and supply. We have team of expert quality analyst, marketing managers and others who are dedicated towards supplying quality products to our esteems clients as per their requirements. We are renowned for providing extreme quality of leather and plastic products that meets National and International Quality Standards. We supply these products to our esteemed client throughout the world. We have wide clientele that is spread all over the world as we understand the requirements of our valuable clients so we make permanent relationship with our clients as to deliver these products.